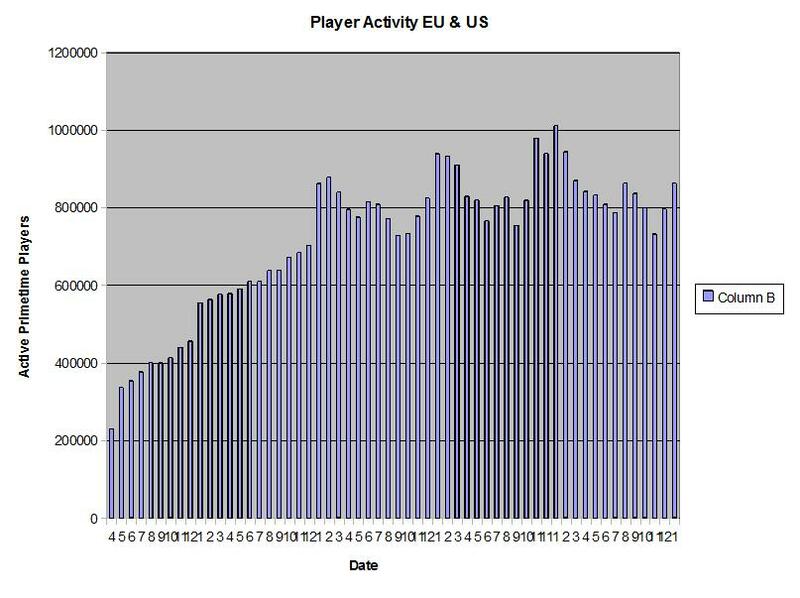 It has been a while, but I have finally updated the Player Activity Charts. I have calculated the concurrency numbers through January 2010 provided by the CensusPlus UI Addon. The continued decline, with the boost around the Christmas holidays is pretty much as expected going by previous annual trends. I doubt we'll see much deviation from prior annual reporting until something major such as a new viable MMO release, or when the Cataclysm expansion is released. The site revision looks good I think.